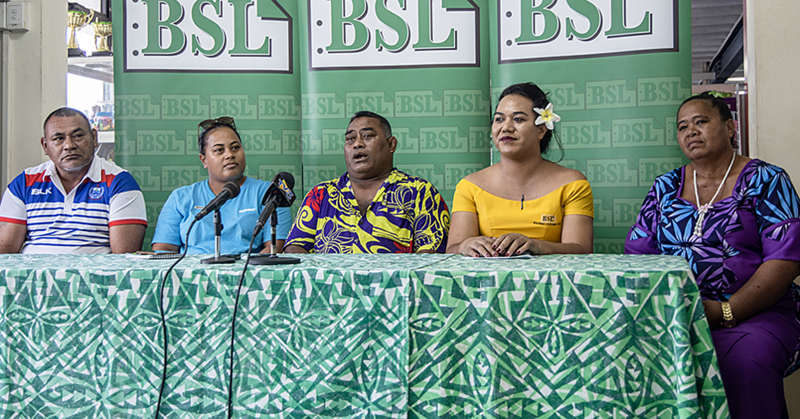 PR - Pacific Island states are celebrating the anniversary of the signing of the Treaty of Rarotonga, a regional pact that established the Pacific as an internationally recognized nuclear-weapon-free zone 33 years ago. Government officials from the region also declared their support for the 2017 Treaty on the Prohibition of Nuclear Weapons, which aims to make the entire world free of nuclear weapons. 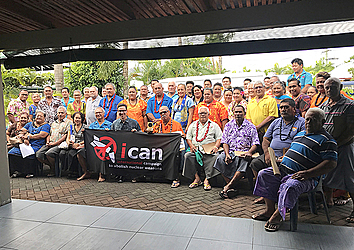 During a reception on Monday at the Taumeasina Island Resort in Apia, Tim Wright of the Nobel Peace Prize-winning International Campaign to Abolish Nuclear Weapons (I.C.A.N. ), praised Pacific Island states for their leadership in the decades-long struggle against nuclear weapons. He congratulated the governments of Fiji, Kiribati, New Zealand, Palau, Samoa, Tuvalu and Vanuatu for signing the new treaty, and Palau for being the first in the region to ratify it. 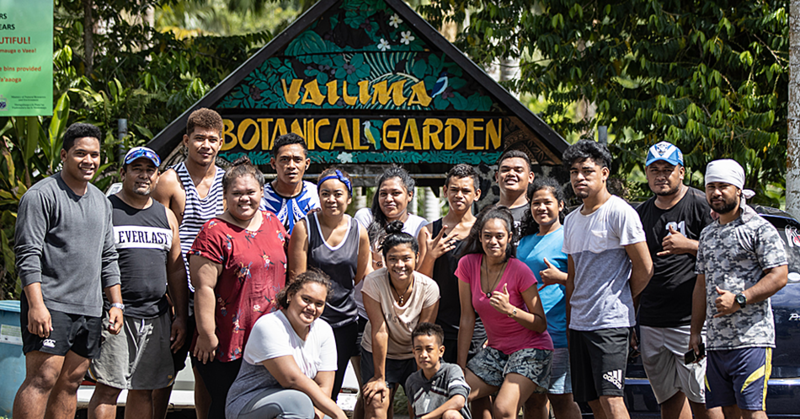 Jeffrey Antol, Palau’s Bureau of Foreign Affairs director, said that every nation – irrespective of size – had the right and responsibility to speak out against nuclear weapons. He appealed to other nations in the region, which are yet to sign and ratify the UN treaty, to take those steps during the high-level segment of the U.N. General Assembly in New York next month. 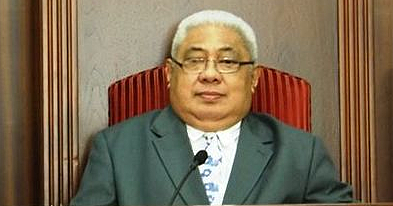 Prime Minister of Samoa, Tuila’epa Sailele Malielegaoi, signed the treaty last September, but the Samoan government is yet to ratify it. Speaking recently, Doreen deBrum, a senior foreign ministry official from the Republic of the Marshall Islands, explained why the treaty is so important to her country and the entire Pacific. Her late father, Tony deBrum, who served as her country’s foreign minister up until 2016, was a passionate advocate for nuclear disarmament and supporter of I.C.A.N. He wanted justice for the Marshallese people and humanity to live free from the nuclear threat. His daughter said that she was proud that her country had voted in favour of adopting the Treaty on the Prohibition of Nuclear Weapons last July. The treaty is now under review by the parliament. “This treaty offers such great hope that we can finally bring the era of nuclear weapons to an end, before there are any more victims,” she added. Tahiti is another Pacific nation that continues to suffer the consequences of nuclear testing. But it is unable to join the U.N. treaty as it is a French territory. Mr Wright from I.C.A.N. spoke to members of SUNGO, the Samoan Umbrella for Non-Governmental Organisations, at the Millennia Hotel about the ongoing legacy of nuclear testing in the Pacific region. He said that the United States, France and Britain harmed the pristine environment of the Pacific and the health and wellbeing of Pacific islanders by conducting more than 300 nuclear test explosions in the region between 1946 and 1996. He brought the Nobel Peace Prize medal, which was awarded to I.C.A.N. at a ceremony in Norway last December, to Samoa in a bid to draw attention to the effects of nuclear weapons and its role in bringing about the UN treaty. Close to 15,000 nuclear weapons remain in the world today, posing a threat to the very survival of humanity. Nine countries possess them: United States, Russia, Britain, France, China, Israel, India, Pakistan and North Korea. The vast majority of the world’s countries, including Samoa, strongly reject nuclear weapons.